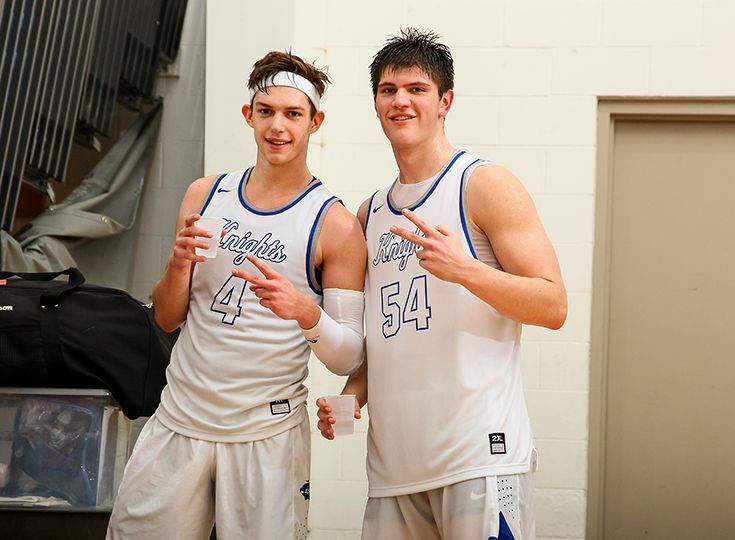 Members of the boys’ basketball team continue to bring in the postseason honors as four Knights were selected to all-area teams. Paul Mulcahy ’19, the Courier News Player of the Year, was chosen to the 1st Team All-Area squad. Zach Martini ’20 also received 1st Team honors after averaging a double-double on the season. Will Soucie ’20 claimed 2nd-team honors while Denver Anglin ’22 was selected to the 3rd-Team. Anglin was also the only freshman to be named to an all-area team. Rounding out the group was Connor Murphy ’19 as he received Honorable Mention.